Centura Health operations, facilities and services are far reaching from Boulder County, the mountain communities and metro Denver, to Colorado Springs, Pueblo and Cañon City, Durango - and surrounding rural communities. The extraordinary moments that take place at just one of our entities are remarkable. However, the strength of our network and breadth of our services across the state allows multiplied instances of compassionate caring and spiritual moments to take place every day. Over the past five years, we have invested in our communities and built new hospitals in Summit County, Colorado Springs and Parker, and the newest addition to the Centura family, St. Anthony Hospital, now open in Lakewood. 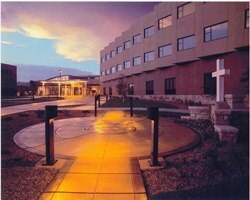 In the past three years alone Centura Health has invested more than $700 million in our communities and facilities, including significant renovations and capital additions and state-of-the-art technology such as an electronic medical record system, the da Vinci Surgical System and CyberKnife.